The American Heart Association has made it easier for people to make healthier, heart-smart choices when they are grocery shopping or eating at a restaurant. Look for products that feature a red heart with a white check mark on the packaging. This is the AHA logo and indicates that the products have met certification criteria relating to the fat content, total amount of cholesterol, sodium content, total amount of sugar as well as beneficial nutrients. You canâ€™t rely on labels alone to make healthy choices. Some manufacturers might make a claim that their product is good for your heart and even include a red heart that resembles the AHA logo. Others make claims such as â€œreduced fatâ€ to make you think that the product is a healthy choice. This isnâ€™t always the case. 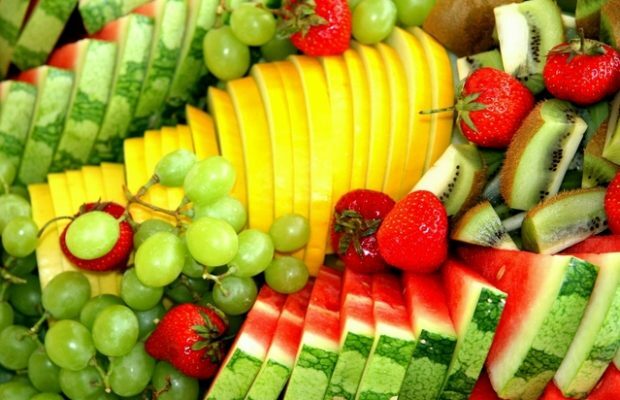 Nutrition experts at the American Dietetic Association and The Cleveland Clinic have identified some of the best foods to prevent heart disease. Medical studies at The Mayo Clinic and Harvard University back up the data. If you are not already eating them, you will certainly want to incorporate these 10 foods into your daily diet. 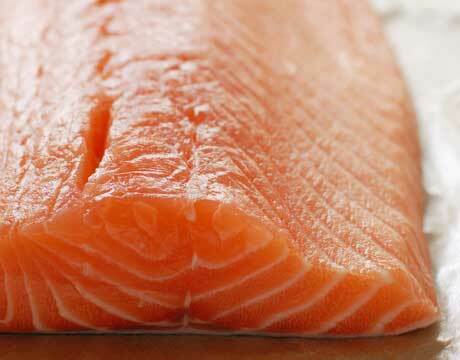 Salmon: Salmon is rich in DHA and omega-3 fatty acids which are good fats. They are essential to the production of new cells and work to reduce your cholesterol level. DHA and omega-3 fatty acids also have anti-inflammatory properties that will constrict the blood vessels. Flaxseed: This food is also high in omega-3 fatty acids. Flaxseed is often found in breakfast cereal, muffins and yogurt parfaits. Oatmeal: Oatmeal is high in protein and fiber which will also lower your blood cholesterol level. Not all oatmeal is good for you, however. Look for products made from whole grain oats and donâ€™t contain added sugar. Oatmeal made from steel cut oats are arguably the best for your heart. Black Beans or kidney beans: Either type of bean is loaded with B-complex vitamins, which work to support your cardiovascular system, metabolize carbohydrates and increase your energy. Black or kidney beans are also a good source of omega-3 fatty acids, calcium and soluble fiber. Almonds or walnuts: Nuts are another good source of DHA and omega-3 fatty acids. They also contain mono- and polyunsaturated fats which are considered good fats. Red wine: Drinking a glass of red wine each day can decrease your chances for heart disease as well. Red wine is brimming with powerful antioxidants that prevent blood clots, reduce bad cholesterol (LDL) l and increase your good cholesterol (HDL). If you donâ€™t drink alcohol, you can still benefit from drinking juices made from red grapes; however, because of the fermentation process, the antioxidant level in red wine is more concentrated and more powerful. Tuna fish: Tuna is another good source of omega-3 fatty acids. Be sure to eat it in moderation as tuna typically has high levels of mercury. Tofu: This heart-healthy food is often used as a substitute for red meat. It is high in protein and packed with niacin, folate, calcium, magnesium and fiberâ€”all of which increase the functionality of the cardiovascular system. Brown rice: Brown rice is high in fiber and promotes heart health. The oils in brown rice prevent weight gain and can decrease the level of bad blood cholesterol. Furthermore, it reduces the plaque build-up in arteries. Blackberries and blueberries: The natural extracts found in blackberries and blueberries are loaded with immunity-boosting antioxidants. Cranberries, strawberries and raspberries are good too, but blackberries and blueberries have the highest concentration level. 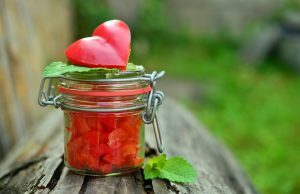 There are a variety of other foods that will also lower your risk for heart disease. Dark chocolate, tea, yogurt and raisins work in different ways to promote cardiac health as well. Almonds Prevent Diabetes & Heart Disease? ← Previous Story Does Osteopathic Medicine actually Help those Who Suffer from Chronic Pain?